It’s been a rough year for the Eisenhower football team to say the least. 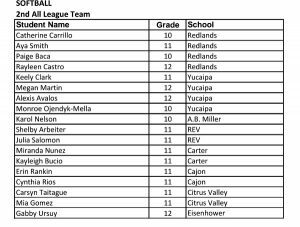 It was just two years ago that the Eagles won the second of back-to-back Citrus Belt League titles, but they are 1-7 this year and in last place in the Citrus Belt League. Why are they struggling so much? Youth is a big part of it. Coach Mike Clark said he played six freshmen in last week’s 67-0 loss to Carter. This week against Yucaipa, Eisenhower will not just play, but start five freshmen, including three on the offensive line. “We knew already we didn’t have a strong senior class. The freshmen are very eager and they’re bringing energy,” Clark said. Eisenhower graduate Victor Butler, who has played in the NFL since 2009, has been giving back to the area . Saturday will be Victor Butler’s Third Annual Scholarship Awards Ceremony, with 12 graduating senior student-athletes to be honored. 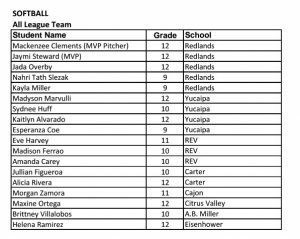 Locals included are: Steven Hernandez, Tanya Garcia and Johnathan Kin Long Li of Summit, Yulissa Godinez, Ivette Frutos-Ortiz and Fred Scott of Eisenhower, Dominique Iverson-Kelley of Etiwanda, Brandon Bland of Carter and Christian Steele of Jurupa Hills. Eisenhower’s Aaryon Green (No. 13), against Cajon earlier this season. The Eisenhower girls’ promising CIF-SS hopes were dealt a blow with the season-ending knee injury to star Long Beach State-bound senior 6-foot-2 forward/center Aaryon Green. Green suffered the injury in the opening minutes of last week’s 38-32 win over Perris. Eisenhower, seeded third hosts Walnut in the second round of the 2AA playoffs tonight (Wednesday). Eisenhower boys basketball coach Ray Jimmerson, above, talks after his team was eliminated in the second round of the Division 2AA playoffs. Eisenhower finished tied with Redlands for the Citrus Belt League title, but went as the league’s No. 2 entry because of the head-to-head tiebreaker. Eisenhower defeated Whittier 64-60 in the first round before losing to Ayala 61-45 on Tuesday. How/why did Cajon girls basketball end up in Open Division? Cajon girls basketball coach Mark Lehman was surprised when he found out his team was picked for the CIF-SS Open Division playoffs. Absolutely. 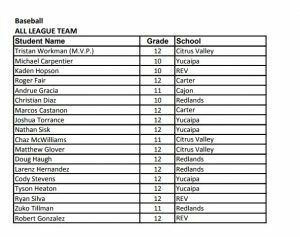 Considering his team was ranked fifth in Division 1A entering the season’s final week, the Open Division took only one of the teams ranked ahead of Cajon in Division 1A, Riverside North. 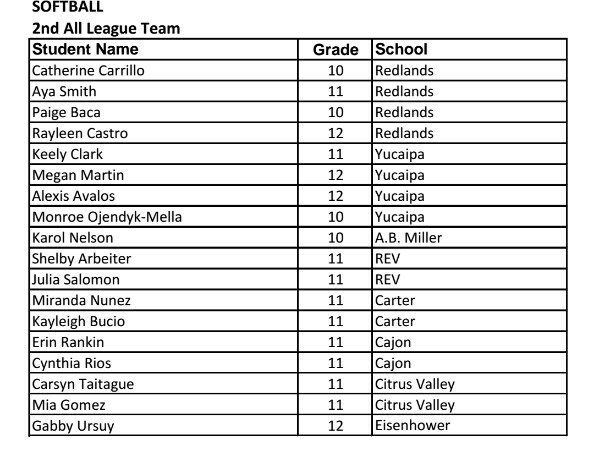 Entering the week, 3 Division 1A teams were on the Open Division Watch List: Riverside North, Fullerton Troy and Cajon. North was ranked No. 1 in 1A, and got the 16 seed in the Open Division. Cajon was No. 5 in 1A, and got the 15 seed. Troy was ranked No. 3 and didn’t get in, and is the No. 2 seed in 1A. I realize that Cajon had a big win, beating Eisenhower, which had given Cajon its only loss in the teams’ first meeting. Yet no one else above them in 1A lost during the final week. So, how is Cajon the No. 5 team in 1A according to that division’s pollsters entering the week, then essentially the No. 1 team (highest Open Division seed) just a week later? I cannot recall a week with two games as crazy as the ones I had this week. First, there was Redlands East Valley’s 5-4, 5 overtime win over Yucaipa in girls water polo on Tuesday. Then came Thursday, when Eisenhower girls basketball rallied from 9 points down in the final 9.3 seconds to force overtime, before falling to Cajon, 65-57. I have never seen a 5 overtime game in water polo, and neither had anyone I talked to at the game. And scoring 9 points in the final 9.3 seconds to force overtime? It just doesn’t happen. But what makes these games remarkable beyond that is that both games had Citrus Belt League titles at stake at the end of the season. 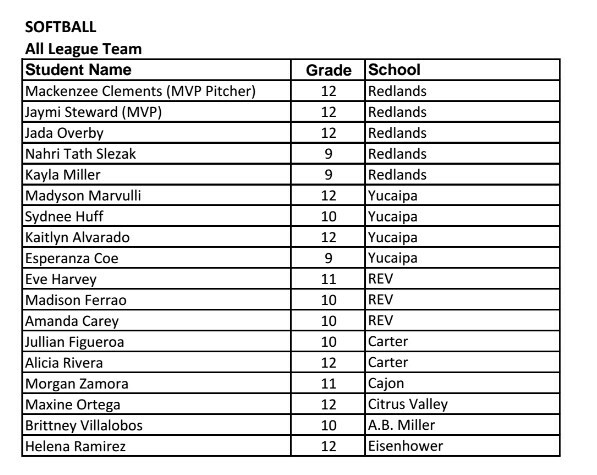 In the first case, REV won the CBL title outright, its sixth straight title with the marathon win. In the latter, Cajon earned a share of the CBL title by knocking off Eisenhower. In each case, none of the four teams had lost to anyone else in league. 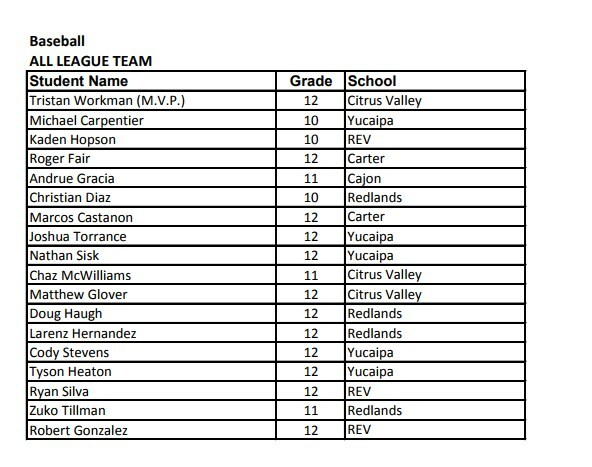 And they were all ranked in CIF-SS. Those were two games what show why I love high school sports. In both cases, great fan atmosphere, two closely matched teams and two games in which there was a big mental aspect. in the first case, REV fought through fatigue to finally win. In the second case, Cajon fought through the embarrassment of squandering a big lead and recovered to win in overtime. You’ll see above one of the craziest comebacks in a short period of time, with Eisenhower trailing by 9 and tying it on two 3-pointers by Delilah Cerda, and then a steal and a layup by Allyah George as time expired. A foul was called, and the free throw tied the score and sent it to OT. I have never seen 9 points in less than 10 seconds to send the game to OT. Of course, it was a combination of Ike’s great plays and Cajon making some poor decisions. Ike didn’t have enough left in OT and Long Beach State-bound Aaryon Green suffered from leg cramps and Cajon took advantage. In the above video, you’ll see Eisenhower’s Aaryon Green draw the foul with 6.6 seconds remaining. Not shown in the video is that Green made the first free throw, after which Cajon coach Mark Lehman called timeout. So, the mad dash down the floor by Cajon after Green made the second free throw was not without some planning. My take: Cajon has too many weapons to score just 38 points. I think they’ll score more the second time the teams play. If Eisenhower wants to pull off the sweep with a win at Cajon Feb. 12, the Eagles will need to score a lot more than 39 points. Aaryon Green scored the final 8 of her team’s points, and led Eisenhower with 16 points. She also made 2 free throws with 6.6 seconds remaining to lift the Eagles past Cajon, 39-38 on Tuesday.